FREETOWN, SIERRA LEONE – President Dr. Ernest Bai Koroma has on Friday 30th September 2011, told the Independent Investigation Panel into recent political violence matters of Kono and Bo districts that there should be a total political freedom of the electorates to enable people come out to cast their votes come 2012 elections. “People of this country should be free to come out and vote their choice of candidate in the coming elections so that the results will reflect the will of the electorate”, he said. 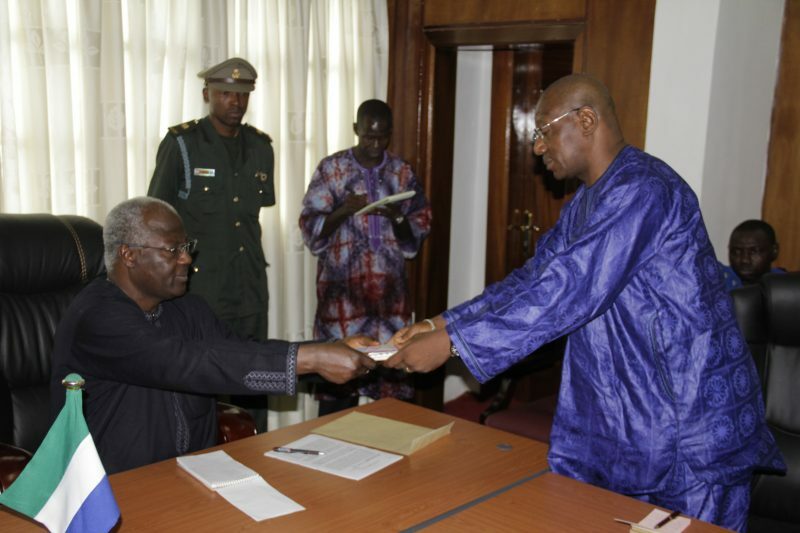 President Koroma made the declaration shortly after he received investigation reports from committee on Bo and Kono violence matters, during a presentation ceremony held at Credentials Room, State House. The Head of State said he decided to set up an independent investigations panel into political violence matters in the country, because he wanted the reports to be very much credible. 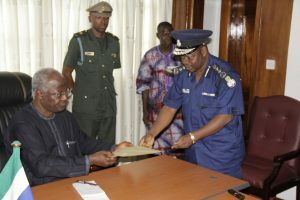 Acknowledging the primary responsibility of the Sierra Leone Police, which is to investigate such matters, President Koroma said it is due to the peculiar nature of the matter, coupled with the prevailing circumstance surrounding the incidents that is why the civil society was called to the panel. 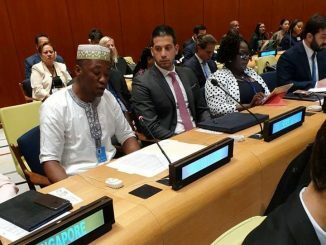 “The committee is not a commission of enquiry and I have not look at the report but the composition of investigators in the committee is credible and the understanding is that there should be political tolerance”, he said, noting that Sierra Leone has a democratic credentials which has to be maintained. 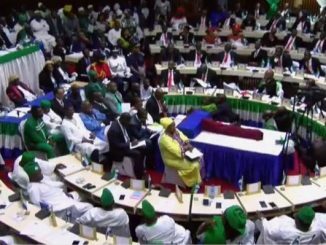 President Koroma said Political leadership in a democratic dispensation is not about rising private armies considering the situation the country is emerging from. 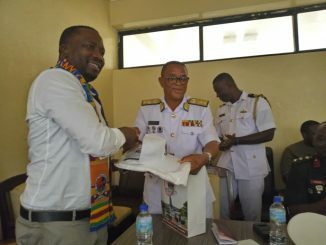 “Nobody is above the law be you a supporter, councillor, an MP and a political leader, whosoever is responsible for the eruption of violence in those districts will face the full force of the law”, he vowed. President Koroma said the outcome of the investigations into violence matters in the two districts will serve as a stern warning to leaders of political parties and their supporters. 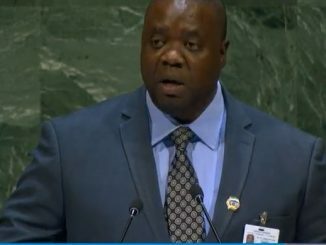 “We must provide responsible leaderships for our political parties and any political leader who provides a leadership that sends a signal of violence will pay the cost for it locally and internationally”, he warned, adding that there will be no hiding place to whoever is found wanting for causing unrest in the country. He instructed the Police to follow up evidences of the report saying wherever those evidences leads, be you APC, SLPP or PMDC the law will take its course. 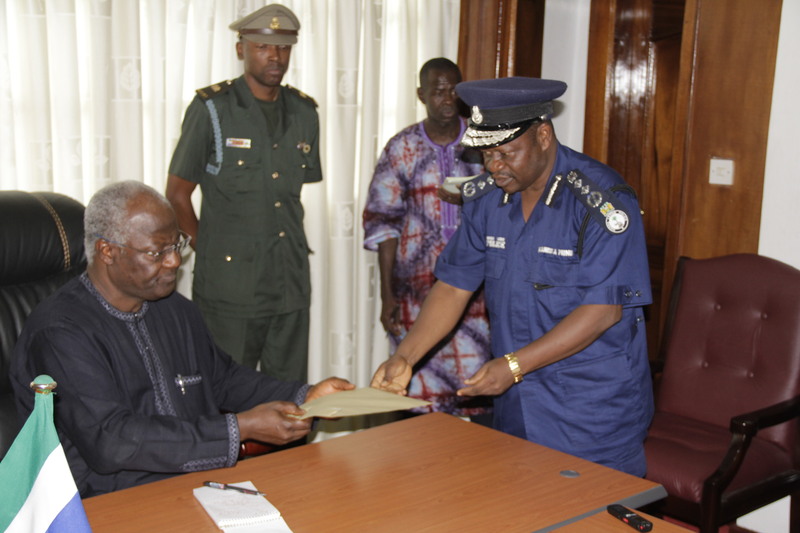 President Koroma said the Police should build institutional capacity of the force to enable it handle subsequent matters as such investigation will not be given to the civil society in the future. As for the investigators, the Inspector General of Police Francis Munu reflected of tension created by the two political mishaps in the country. He said the SLP received intelligence that certain group of political parties’ followers had decided to set ablaze offices of all political parties in the country. IG Munu called for further support for a follow up action on these matters and submitted the Report to President Koroma. 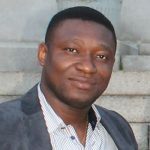 If His excellency is really right and sincere about the independence of the investigation teams, then we look forward to publishing the contents of the two envelopes he has just received, followed by a commensurable penalty against the perpetrators of those political mishaps regardless their ethnic backgrounds or political affiliations. The secret behind European’s success in enforcing the rule of law is their ability to set quotable examples on law breakers. If Sierra Leone is to enjoy a sustainable peace , our leaders should be ready to sacrifice their tribal, regional and political affiliations in exchange of law enforcement.